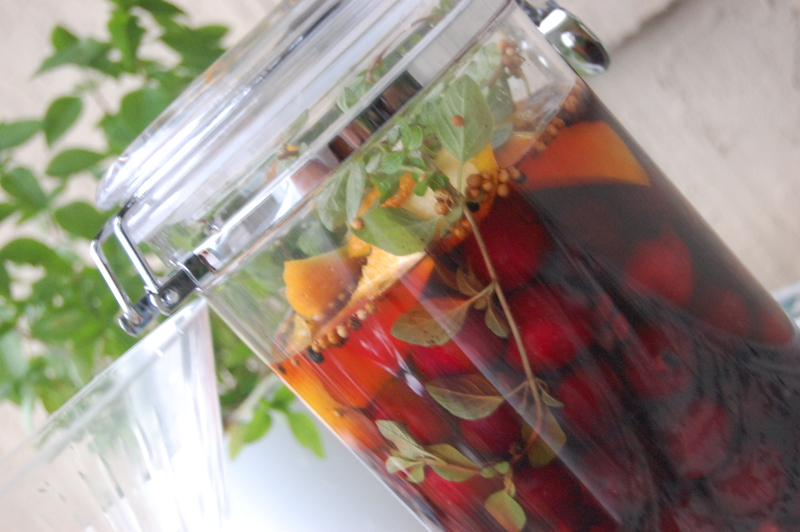 Preserved Cherries- Small Effort, Huge WOW! Seems like I couldn’t get away from cherries last weekend we dined at a restaurant with a great fresh cherry cheesecake it had a chocolate almond crust Sir Wes kept saying, LORD this is good! 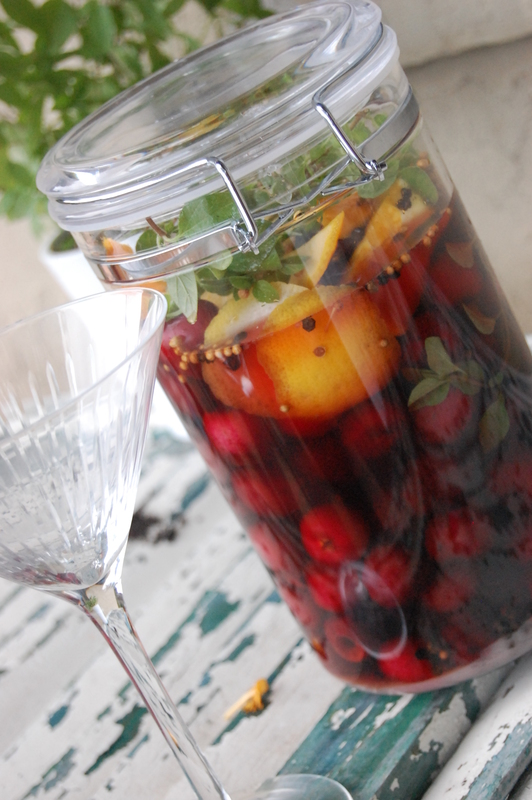 Then I read a blog over at A Cook Walks Into A Bar, who was making homemade Maraschino cherries!! What??? Who knew?? Not sure why I never thought about fresh made…. just goes to show you, there is always something new to discover! 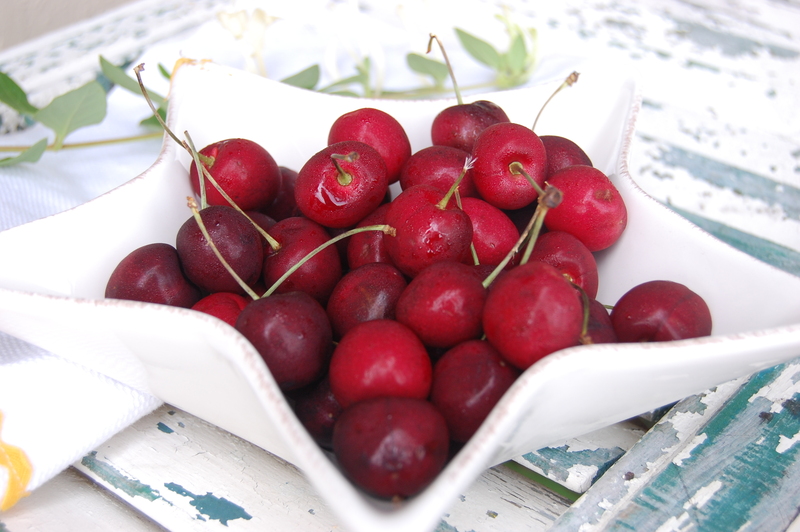 And then there were Acerola Cherries at the farmers market the next day- Awesome! Because we were leaving for a family vacation this week, I was a bit limited on time, could not get to the liquor store for the traditional liquor needed for the maraschinos, next time!! So I used what I had in the pantry- no need to get caught up in recipes, we just make it work!! I put all the ingredients together in a leak proof container and turned end over end to mix everything up. They will need about two weeks before we dive in to them, and will last 6 months. Just be sure to stir them up every few days. This is a GREAT treat for your cocktail parties coming thru the summer and into the fall- ummm, I can see tailgate parties with these fancy schmancy treats….Awesome! Small effort, Huge WOW!